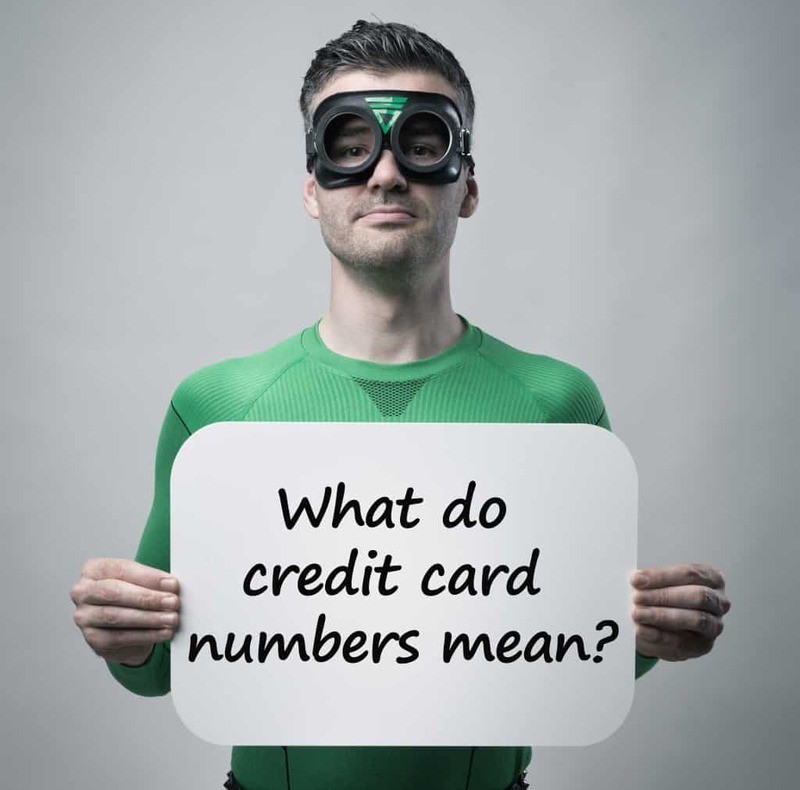 How Do Credit Card Numbers Work? He’s just as confused as you! 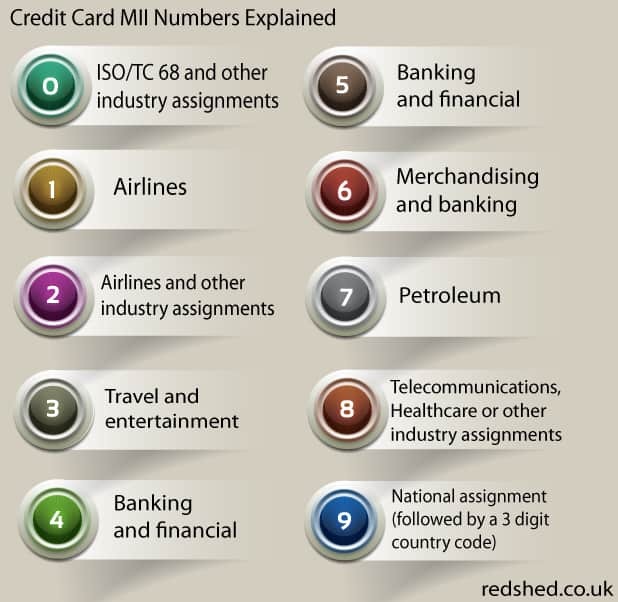 Ever wondered what the long number on the front of your credit card actually means? 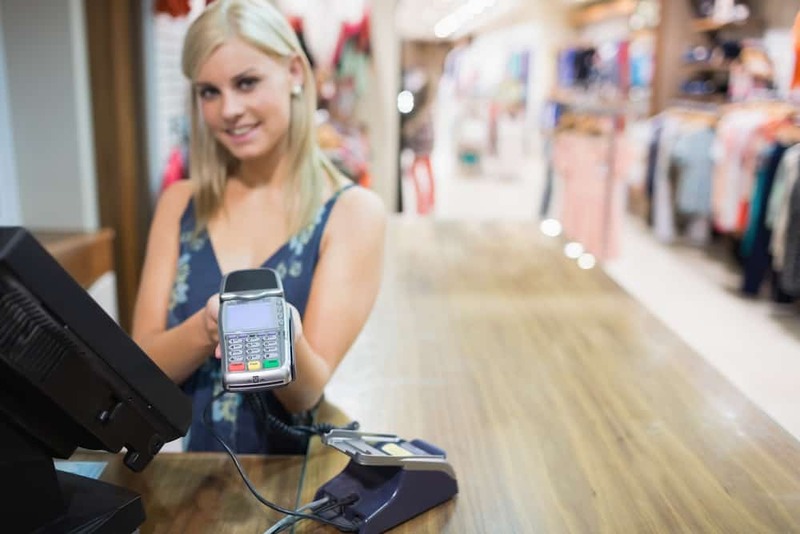 Far from being just randomly generated numbers, each and every one of the 16 digits on a credit card can be traced to a specific meaning about you, your credit card issuer and the type of business that supplied your card. You can even check if your card number is invalid by doing some simple calculations using the numbers printed across the front of your card. 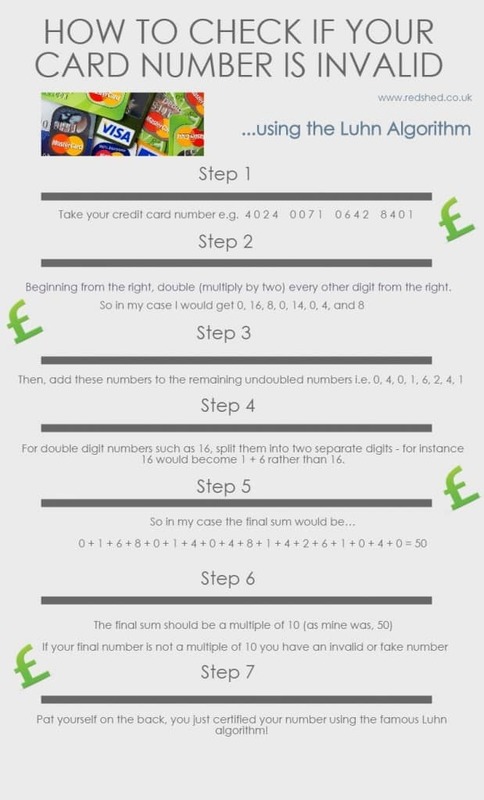 Scroll down to our handy infographic at the bottom of this post to find out how you can verify your card number using the famous Luhn algorithm! These digits show the Issuer Identification Number or IIN. This identifies who issued the card, meaning that cards can be looked up by their IIN. Here’s a few examples of credit card IINs you may have seen. The Digits That Identify YOU! Excluding the final number, these numbers show your account number scrambled up, leaving millions of possible combinations for anyone who can even be bothered to waste their time guessing. 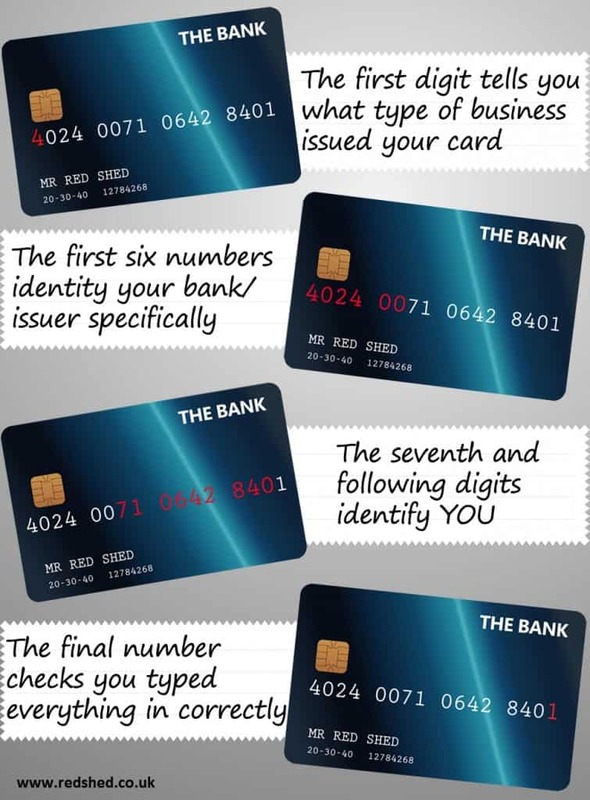 Depending on your bank or credit card provider, this may vary but all will use these digits to track the card back to you! Humans are naturally stupid, that’s why the final digit on your credit card checks your did it all right in the first place. 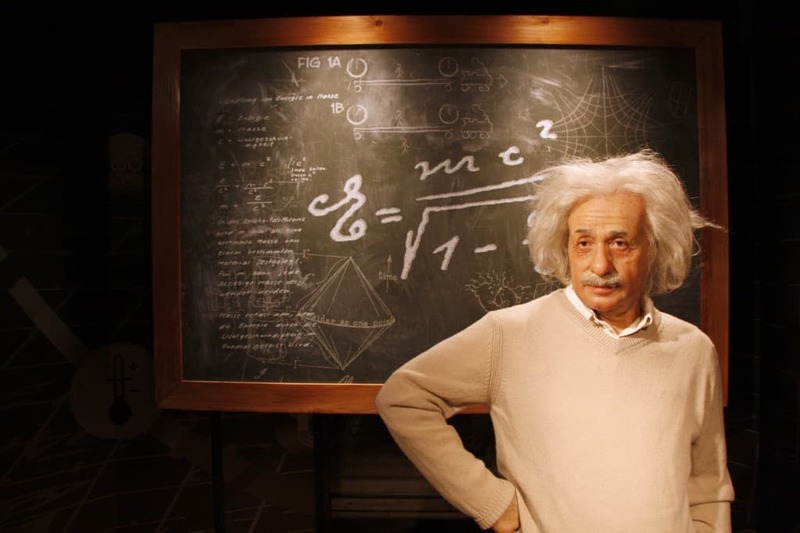 The last number is actually mathematically determined based on all the other digits. This is called the Luhn algorithm and was invented in 1954 by Hans Peter Luhn, an engineer at IBM. Remember: The Luhn algorithm is only in place to check for mistakes when typing your number in online or reading it out over the phone. Numbers which are being doubled can easily be switched to still reveal a seemingly valid number. 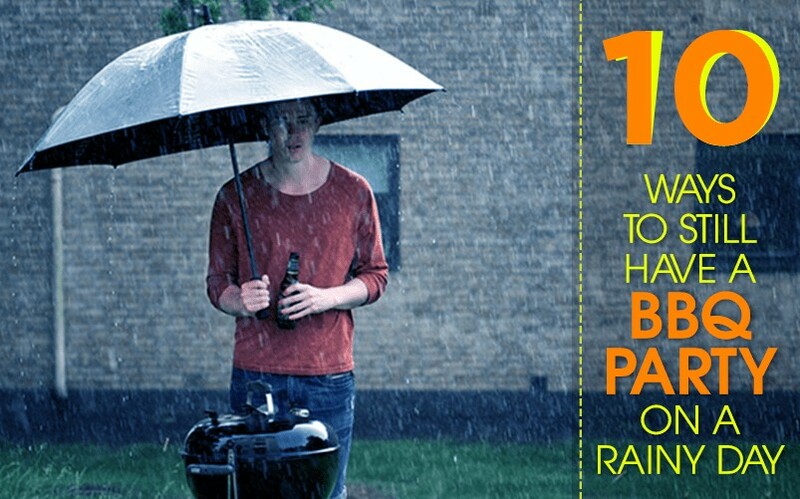 This means the calculation can only tell you whether a credit card is invalid, not whether it is valid.